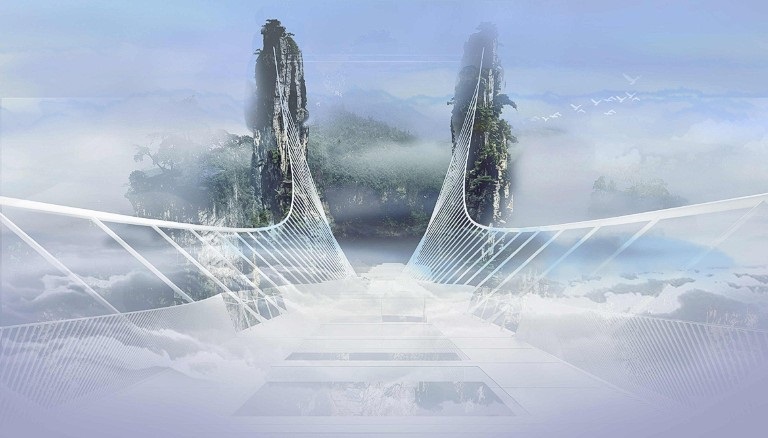 Earlier this month, the officials of China’s Hunan Province revealed what they believe will be a new “Wonder of the World” – the planet’s longest and highest glass-bottom bridge. When complete, the 430m (1,214 ft) long and 6m wide structure will connect the two summits across the Zhangjiajie Grand Canyon. While the length is certainly impressive, it is the 400 m (1,312 ft) height that will have most visitors gripped by fear as they try to traverse across. For those seeking an extra adrenaline rush there will also be a bungee jump – and not just any ordinary one, but the world’s highest! Situated in the middle of the bridge it promises a leap that is a whopping 60m (197 ft) higher than the current record holder, the AJ Hackett bungee jump from China’s Macau Tower. The Israeli architectural firm of Haim Dotan that designed the impressive structure asserts that the bridge which will open to the public in October, will be able to accommodate up to 800 people at a time! In addition to being a popular tourist destination, Dotan also envisions it being used as a catwalk for fashion shows. This is not the first heart-stopping glass structure constructed in China. 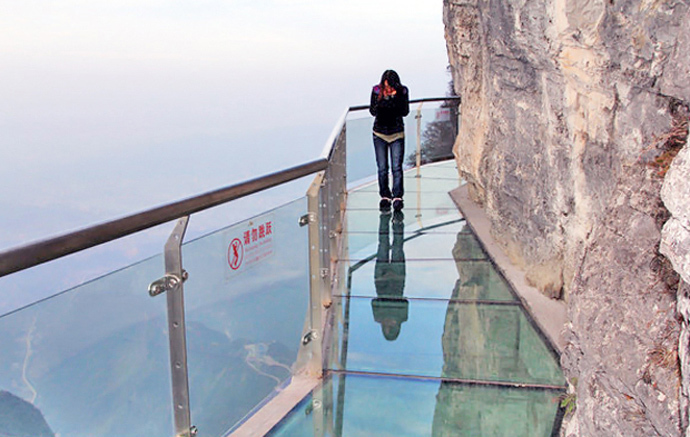 Earlier this year, the Longgang National Geological Park in Chongqing,unveiled the world’s longest glass-bottomed cantilever skywalk. The $5.6 million USD structure that dangles precariously on the edge of a cliff stretches out an astounding 1,010 m (3,314 ft), offeringstunning views to those that dare to walk on thin air! 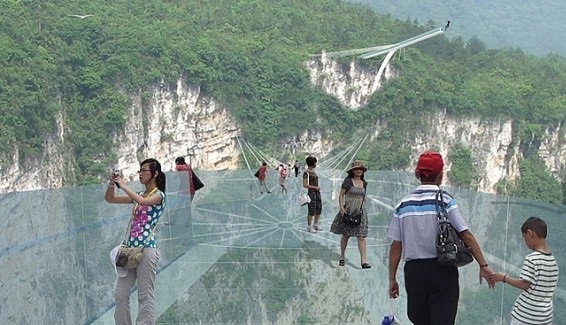 Even more terrifying is the Tianmenshan crystal glass skywalk in Zhangjiajie. The 3ft wide 2.5-inch thick walkway that has runs alongside the edge of the mountain sits 4,700 ft above sea level and is defintely not for the faint hearted! Besides the glass structures, Zhangjiajie, a 56 square-kilometer designated tourist park inside the bigger Wulingyuan Scenic Area has one more claim to fame. It was the inspiration for the breathtaking planet of Pandora in James Cameron’s 2009 blockbuster film, Avatar! I am audited with this website for the English songs collection. One of my favorite website for the songs. Recommending for all the visitors of this website.